Burgi - ქალის საათი განიერი სამაჯურით ბრილიანტის მარკერით და სვაროვსკის თვლებით. იაპონური კვარცის მექანიზმი ტყავის სამაჯურით. 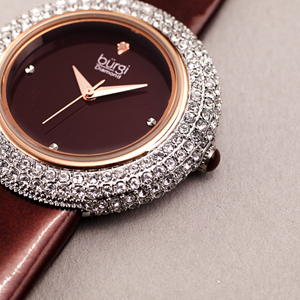 This elegant Burgi timepiece features a crystal-encrusted case with a simple but elegant dial. 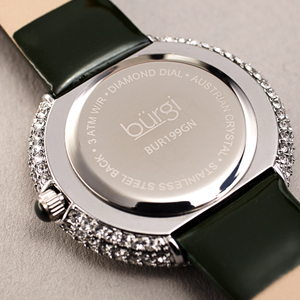 A genuine diamond marker adorns the 12 o'clock position, and a slim glossy genuine leather strap completes its stylish presence. The crystals studding the entire case catches the light in the most beautiful way! The snap-on case back offers 30 meters of water resistance. 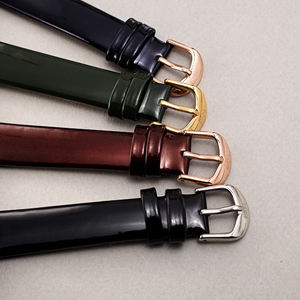 Colorful straps offer variety and elegant fashion options.